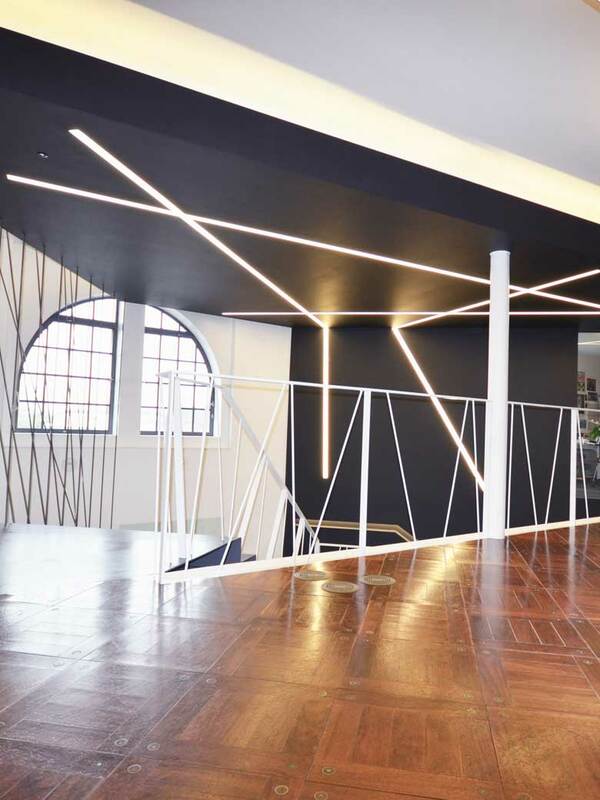 The London office of advertising agency Leo Burnett is located at Warwick House, a converted warehouse building in Kensington Village, West London. 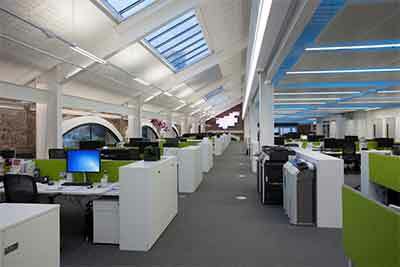 The building covers almost 80,000 square feet and is arranged over five floors. 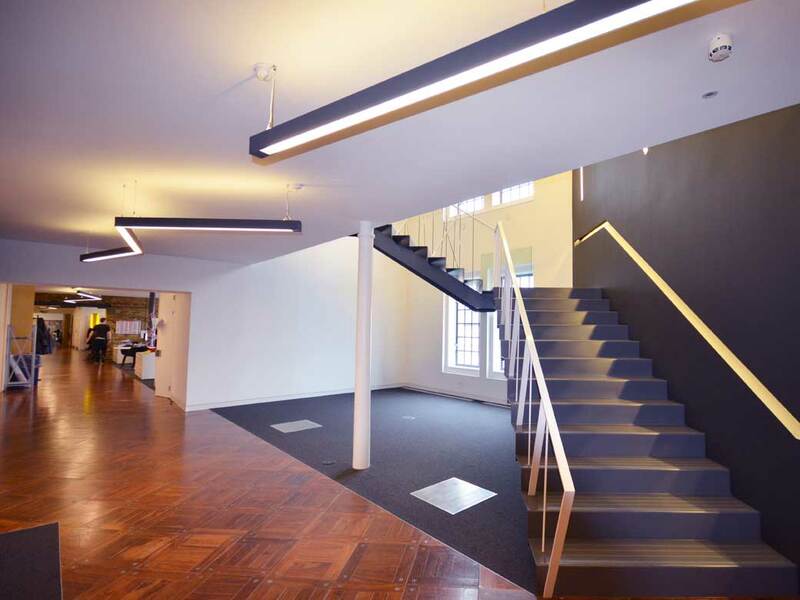 The fast-track refurbishment and fit-out of levels three and four of Warwick Building was undertaken by Cameron Black, while the client was in occupation. 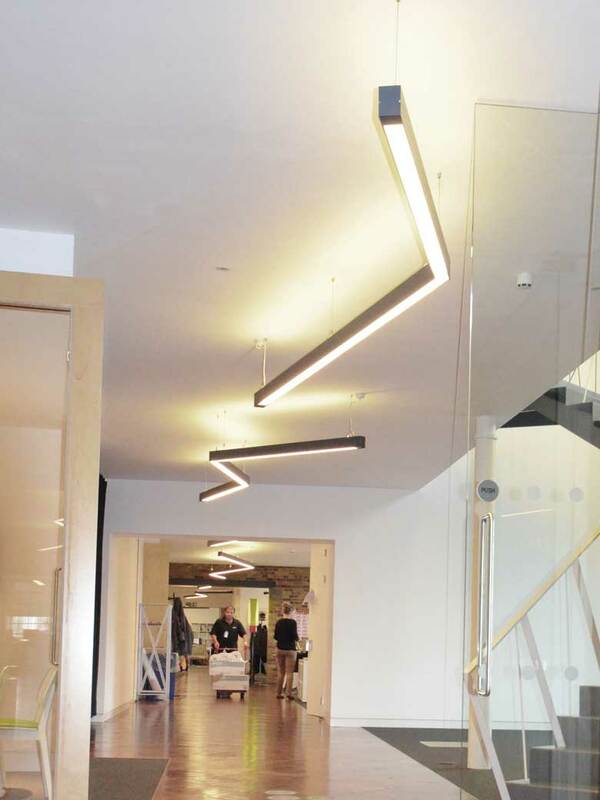 Commissioned by Workplane Light Planning, Optelma manufactured made-to-measure systems for the main office space and the new feature staircase. 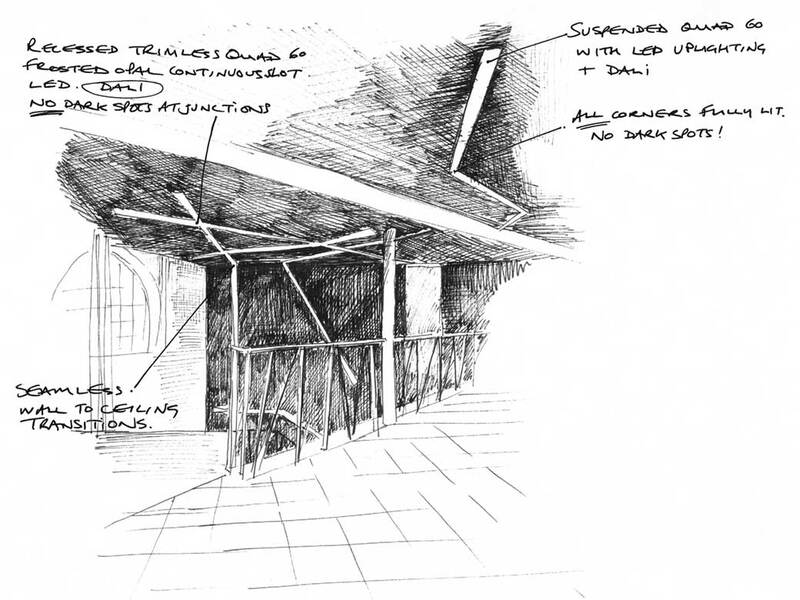 These were based on the initial concept design by architect, Spacelab. 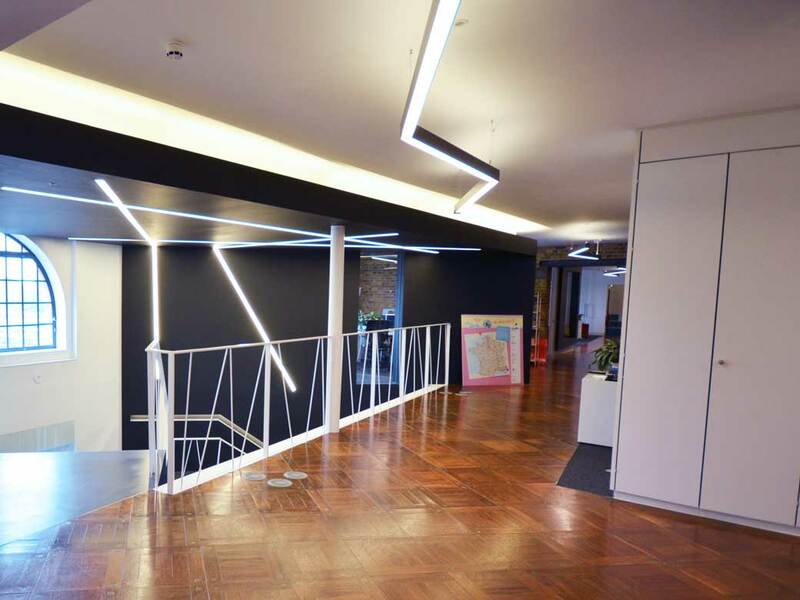 The bespoke staircase located in the heart of the building joins the two refurbished floors, providing a focal point for clients and staff. 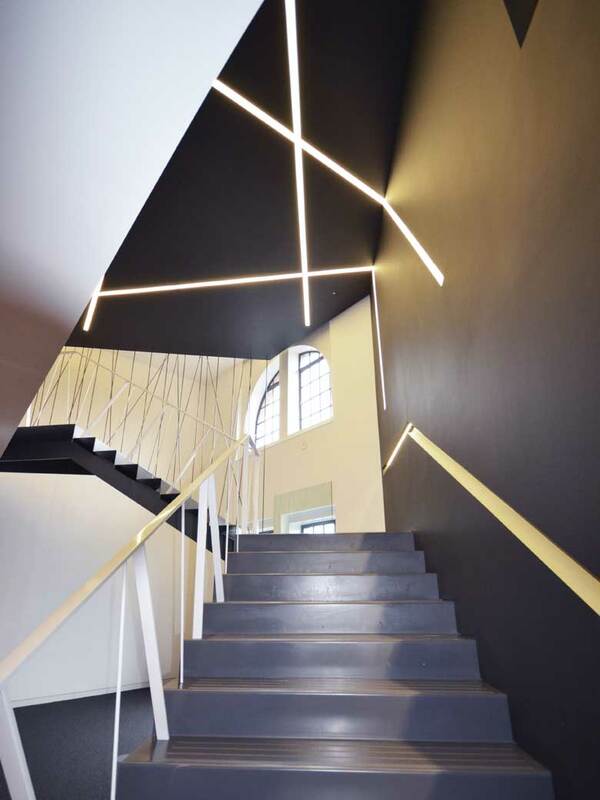 The lighting solution uses Optelma’s Quad 62 LED trimless, made-to-measure profile with bespoke mitred four-way corners; this creates continuous ribbons of light, thereby reinforcing the strong lines of the feature staircase. 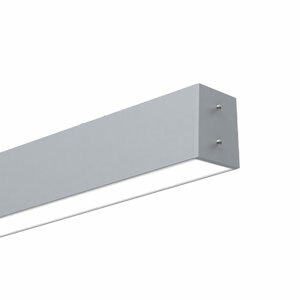 Within the open-plan workspace, continuity has been achieved by the use of the same Quad 62 profile. 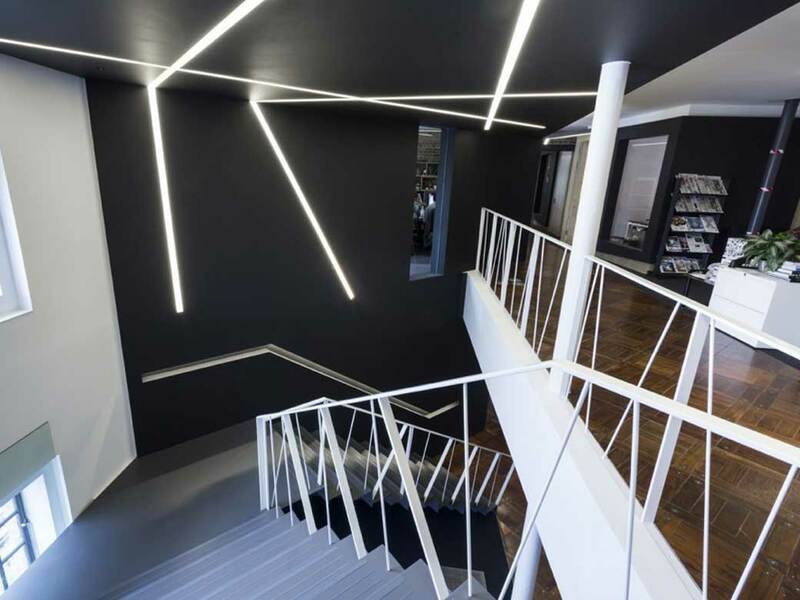 Arranged in zigzag lines to create visual interest, this provides a direct/indirect lighting solution, with excellent performance and glare control. 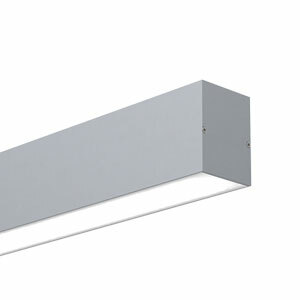 ‘Optelma was charged with a number of tasks to meet the benchmark we had set to satisfy the client’s brief, namely to provide an aesthetically pleasing made-to measure-system, which incorporated varying mitred corners and profile lengths; continuous direct and indirect illumination; high luminaire lumens per circuit watt; and glare control suitable for an office environment.